My favorite spot in Central Park is the Sailboat Pond. I love spending Sunday afternoons there and if I think far enough in advance, I'll pick up a snack or lunch from the food hall at the bottom of The Plaza Hotel. Now that it's finally getting cooler out, I'm dusting off my favorite fall clothes like my cappuccino colored cape from a few seasons ago and these tassel loafers. While spring is my all time favorite season, I've learned to love New York in the fall. There's just something about the city in the fall that makes the end of the sweltering summer totally worth it. How I've missed those slow summer mornings on the screened-in porch! Sun drenched and humid—there's nothing quite like it. In a few weeks, I'm heading back down South for a family vacation. I've been looking forward to this since I found out about it during my first New York City winter. We're staying on a boat in Charleston, so it will be a week full of sunning, fishing, and bopping into town to shop on King Street. I'm packing my favorite summer pieces with plenty of bathing suits and breezy dresses. 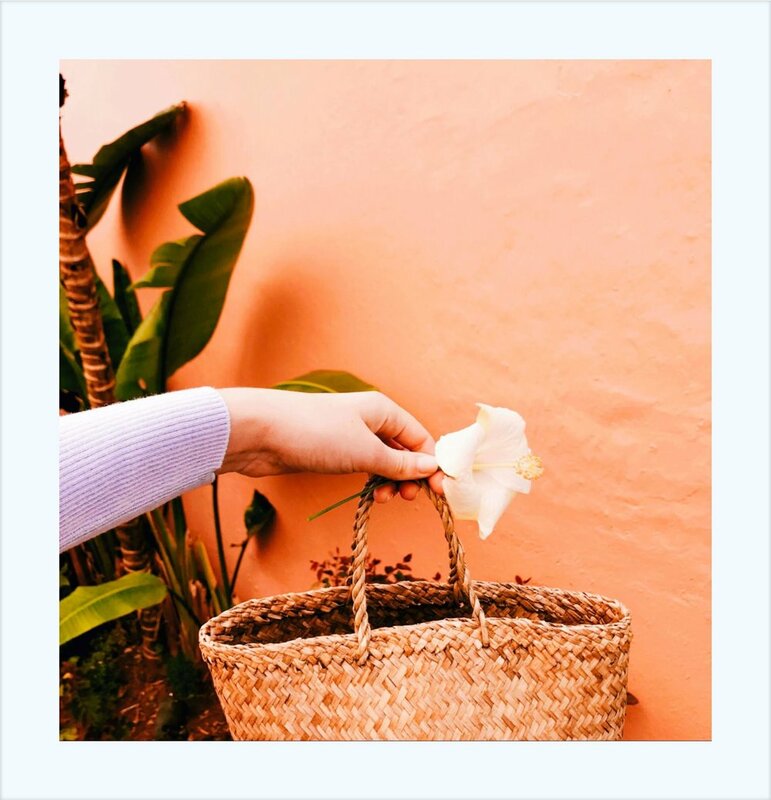 A few things making the trip with me are this swimsuit from Solid & Striped, my perfectly worn-in Canfora Sandals, these retro chic sunnies, a great sun hat, and a stylish and practical beach towel. The Flower District located on 28th between 6th and 7th Avenue has been on my list of things to do since I moved to the city last year (oh my goodness, how has it already been one year?! ), so when my mom came for a visit, I knew it would be right up her alley. After we had the best Sunday brunch at Hundred Acres, we hopped in a cab. I picked up a few herbs for my tiny kitchen and a lavender plant for my bedside table. Next time I want to go during the week since most of the shops are closed during the weekend, but it was so fascinating to see it all in person. From movie ticket stubs to birthday notes from my sweet friends, I always try to save mementos. You never know what might spark a a creative idea down the road. Located in the heart of the historical Mount Vernon neighborhood, The Ivy Hotel is a gem with hidden treasures around every corner of the boutique hotel. Sean and I spent the weekend exploring the city and taking in the beautiful sights of Baltimore. 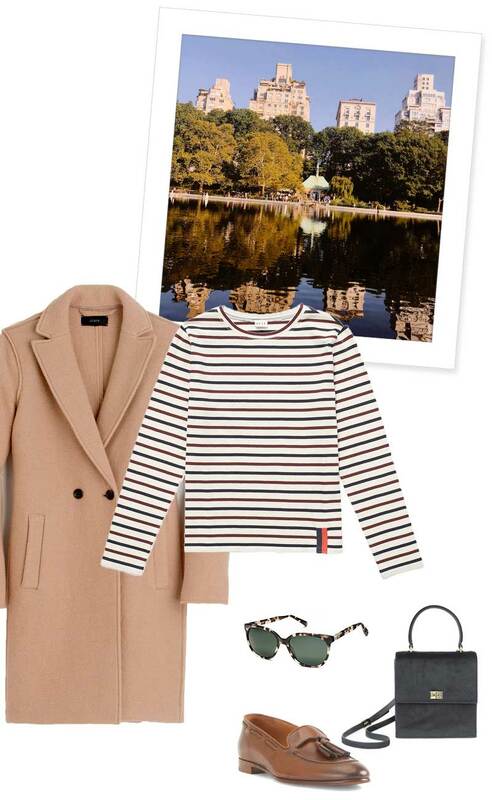 A little fall outfit inspiration for the chilly days ahead of us. This outfit combines all the things I love: plaid, stripes, a pop of color, and my favorite pair of jeans. *Size down one or two in the coat! A summer filled with sun-faded stripes.